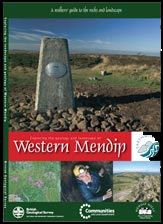 Welcome to this interactive guide to the natural and man-made landscape of the Mendip Hills. 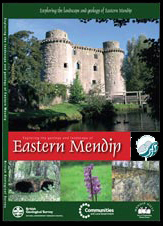 The Mendips are situated 30 km south of Bristol, in south-west England. The site shows that rocks and minerals are critical in forming the foundations of this beautiful and special region, its varied ecology and rich cultural heritage. 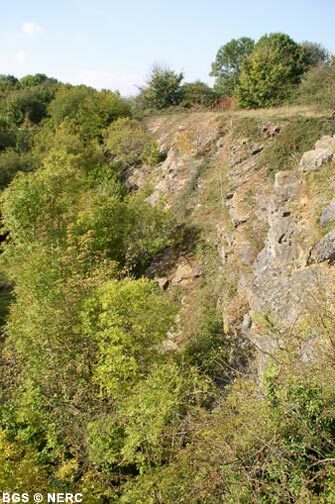 It is designed so you can delve further into the geology, natural history and industrial archaeology of the Mendip Hills. At its heart are two three-dimensional models that will allow you to 'fly' across the landscape and find out more about the links between scenery and geology, biodiversity, industry, and mineral extraction in the Mendip Hills. In addition, you can look at specific areas by using the interactive map. Follow the links, take a virtual tour and find out more about this special landscape. Captions will appear if you hover the cursor over the photographs. If would like to explore the area on the ground, two 1:25 000 scale geological maps and guidebooks accompany this website and can be purchased at the BGS online shop.